presentation with contents that will appeal to graduate students and to professionals already familiar with basic flight dynamics. Dynamic analysis has changed dramatically in recent decades, with the introduction of powerful personal computers and scientific programming languages. Analysis programs have become so pervasive that it can be assumed that all students and practicing engineers working on aircraft flight dynamics have access to them. 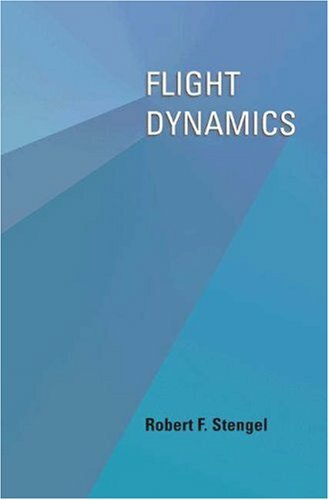 Therefore, this book presents the principles, derivations, and equations of flight dynamics with frequent reference to MATLAB functions and examples. By using common notation and not assuming a strong background in aeronautics,Flight Dynamicswill engage a wide variety of readers. Introductions to aerodynamics, propulsion, structures, flying qualities, flight control, and the atmospheric and gravitational environment accompany the development of the aircraft's dynamic equations.